Posté le 4 février 2016 par Axel S.
Tunze enters into competition of skimmers with DC pump. It is natural that 9012 skimmer gets its DC pump. I will start this preview by a technical point. 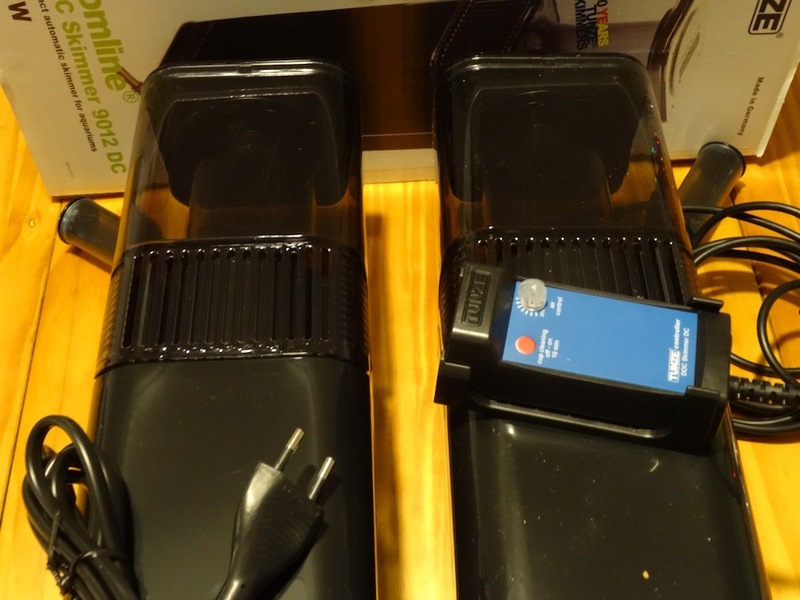 This skimmer is made for « mixed corals » or soft corals tank between 200L(52gal.) and 1500L(396gal.) or for SPS reef tank up to 500L(132gal.). 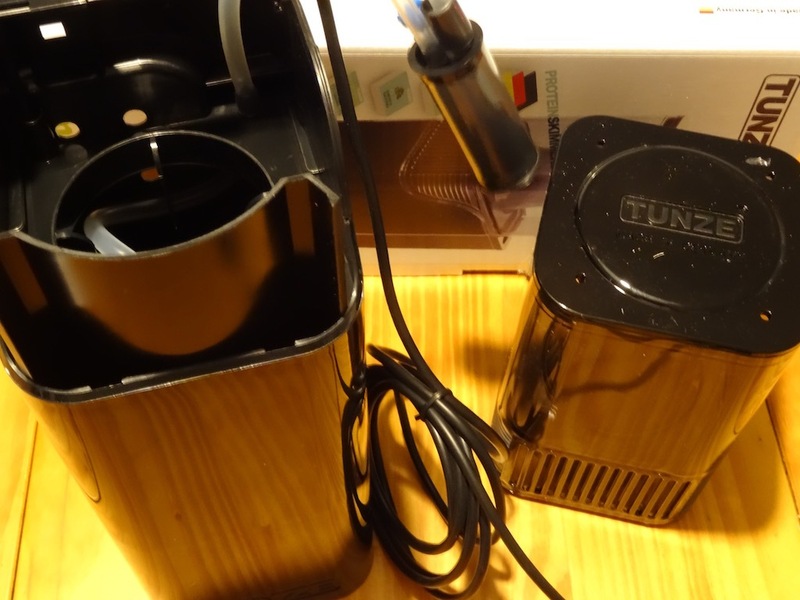 It uses « Tunze Flash Skimming » concept, that is to say a quick proteins removal without contact time. 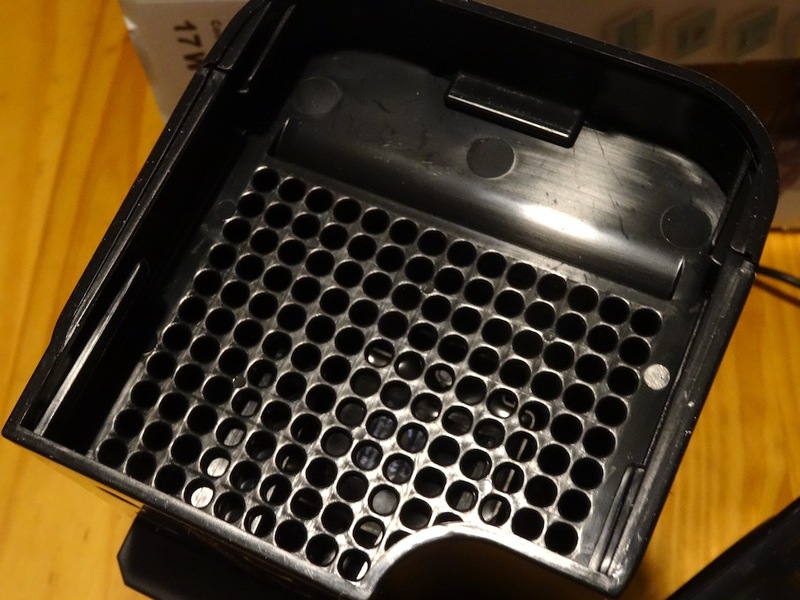 9012 Skimmer has a surface suction, naturally full of proteins and a dispergator generating very small air bubbles. These both technologies bring a big skimming capacity. Tunze foamer pump has a new functionning principle based on an open dispergator creating little air bubbles, without pump body and without hydraulic losses. It allows an important air flow with a small consumption. While running, Foamer is particulary silent. Silicone buffers avoid vibrations’ transmission to tank’s glasses. 9012 Doc Skimmer DC is delivered « plug and play » with a magnet holder effective up to 15mm thick glass. Energy consumption of 17W, skimmer cup of 0.7L, air flow of 600l/h approx., dimensions with magnet holder: 140*110*415mm (L*w*h). It needs a immersion depth from 255 to 285mm. To put it in a nutshell: no more screw to adjust air flow (Controller makes it by itself), energy consumption of 17W (while 13W for classic 9012) and air flow of 600l/h (400 for the 9012). It’s now time for some pictures of this new 9012 DC skimmer. Let’s open the box to see what is inside! As I took pictures after I made the video, you can’t see the protection pieces to ensure good conditions of every pieces during carrying. 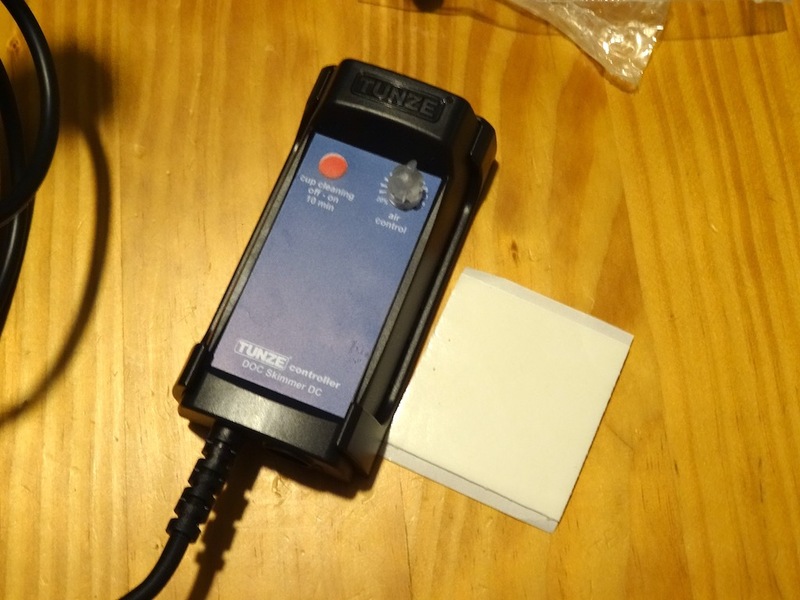 As always with Tunze’s skimmer, we fin a brush set, multilingual user guide and security informations about magnet use. As « DC » means low tension, the 9012 DC version has a power supply and a wire with sector plug. A view on magnet holders, both side with silent buffers in the bag. 9012 DC’s novelty: a controller with a « cup cleaning » button which stop the pump 10min to clean or empty the cup and a rotative button to adjust the air flow. The body and the cup (0.7L) are the same as on the classic 9012. 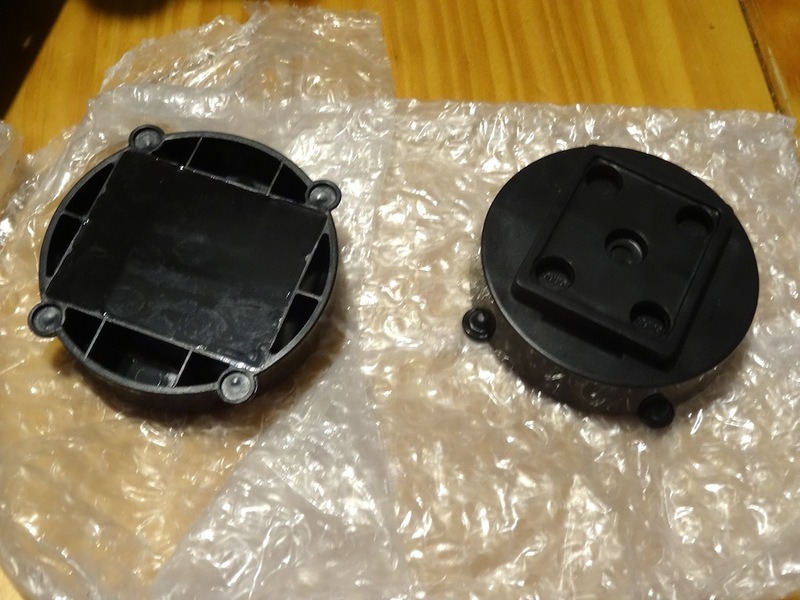 Top and bottom view showing both parts of the skimmer. Family picture: classic 9012 on the left, new 9012 DC on the right with its controller. 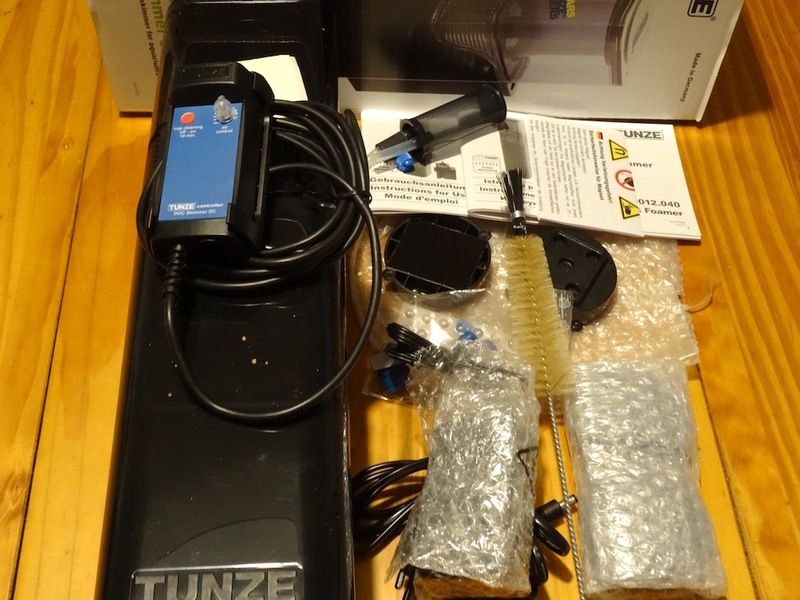 It’s time to conclude this unboxing and review of the new Tunze Comline Doc Skimmer 9012 DC. Energy consumption is slightly bigger (17W instead of 13W) but the air flow is more important (600l/h instead of 400) and the advantage of being able to adjust it with precision thanks to the controller. 9012 DC skimmer is available in every Tunze’s resellers at the recommended price of 320€. Another article will be published with a test in a tank which is already skimmed by an ancient Doc skimmer as a comparaison.